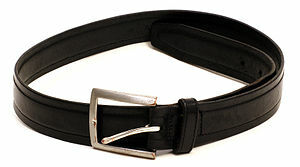 Belts have been documented for male clothing since the bronze age, which, for Europe, was between 3600 and 600 BC. Both genders used them off and on, depending on the current fashion. In the western world, belts were more common for men, with the exception of the early Middle Ages late 17th century Mantua, and skirt/blouse combinations between 1900 and 1910. In the period of the latter-half of the 19th century and up until the first WW, the belt was a decorative as well as utilitarian part of the uniform, particularly among officers. In the armed forces of Prussia, Tsarist Russia, and other Eastern European nations, it was common for officers to wear extremely tight, wide belts around the waist, on the outside of the uniform, both to support a saber as well as for aesthetic reasons. These tightly cinched belts served to draw in the waist and give the wearer a trim physique, emphasizing wide shoulders and a pouting chest. Often the belt served only to emphasize waist made small by a corset worn under the uniform, a practice which was common especially during the Crimean Wars and was often noted by soldiers from the Western front. Political cartoonists of the day often portrayed the tight waist-cinching of soldiers to comedic effect, and some cartoons survive showing officers being corseted by their inferiors, a practice which surely was uncomfortable but deemed to be necessary and imposing. Over the course of history, the belt has known many traditional different styles. 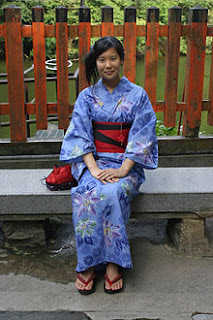 In Japan, for women wearing the traditional Kimono, the Obi came to be. Worn both by men and women, though the width would differ, the men wearing less wide versions. Some have extensive folding on the back. Also in Tribal Africa the use of belts as adornment has a long history.About the practical purpose is little known, but the most logical explanation has to do with adornment and showing of wealth. In olden times, far before currencies were introduced, Cowrie shells were often used as a form of payment. 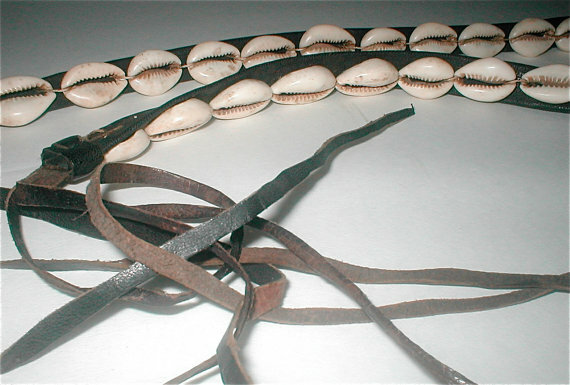 Well-to-do women would use all sort of jewelry and show off by using cowrie shells in them. To today standards it would be as making a necklace out of 100$ bills. Of course, the Belt has a very practical use now a days, keeping pants from ending up around our ankles. Although they are still a way to express ourselves. Either by colour, material or with adornment, such as the studded belts worn in Rock- and Grunge scene's. If you want to make a statement, a belt definately is a part of it!